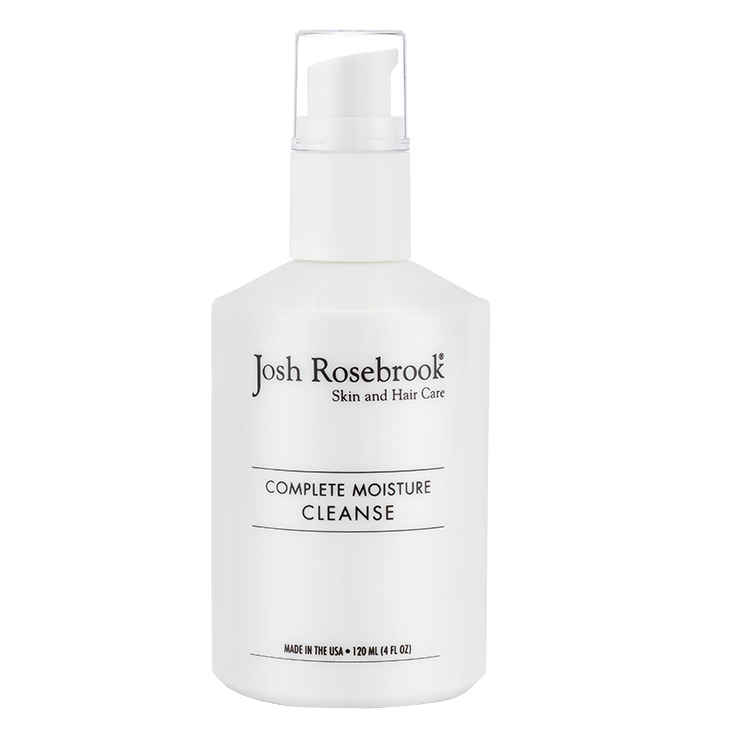 The Complete Moisture Cleanser by Josh Rosebrook is a cleanser for all seasons. A unique combination of whole plant ingredients in a base of aloe vera, African black soap and honey make up this cleanser that gives a balancing feel to all skin types, including sensitive. Calendula and licorice calm signs of inflammation, goji berry and raspberry leaf create a toned appearance, and aloe vera and argan oil make skin feel plumped and soft. This plant based aloe vera cleanser is also ideal for men's shaving and for teenagers who want to maintain a look of healthy, balanced skin. Dispense one pump onto fingertips and massage onto damp skin for one minute to remove makeup and debris, and gently bestow a smooth, soft feel. Rinse with warm to cool water and dry.